Use our unique stop smoking mp3s to quit smoking forever and get your health back naturally. Do you try and quit smoking, only to get tempted by your cravings? Would you like a helping hand, and a boost to help improve your chances of quitting smoking forever? You know that smoking is bad for you in so many ways: your health suffers, the smell sticks to your clothes and skin, it's banned from most restaurants and homes, it's expensive... You know all that and you want to quit - but you can't. True, nicotine is partially a physical addiction, but much worse part of it is what goes on inside your head - the unconscious self-talk you keep repeating, that you don't want to quit, or that you're unable to quit. This subliminal album does just that for you: it sends messages that affirm that you're stronger than your habit directly to your subconscious mind. Regular listening to these messages creates another belief, belief that you can overcome your addiction and be free. When you believe that you can - you will. It is important to note that this album will not work magically, and stop you from smoking even if you don't really want to. It still requires commitment from you. However, if you are serious about quitting then it will help. First of all, make you determined to quit. You will try harder than you ever have before and will be really motivated to succeed. This sheer boost of determination and motivation will get you past the difficult first stages. 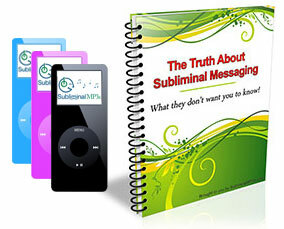 Send messages directly into your subconscious mind which will help to lessen your cravings - to make your cravings and impulses less intense and help you to manage them. Boost your willpower and your strength of mind. You will be less prone to giving in to your impulses, and you will stay strong against your cravings. Finally it will make you less likely to go back to cigarettes. Your mind and thought processes will permanently change and you will therefore be much less likely to relapse. Although this album will make things easier for you it is not magic. You will still have to put some effort in, and you must actually want to quit smoking, but if you are committed then these subliminal messages will strengthen your resolve and give you the best chance of giving up forever. 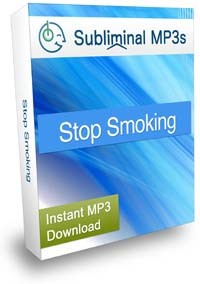 Download this powerful stop smoking subliminal album today, take the first steps towards a healthier, addiction free life and gain a much greater chance of success towards your goal of stopping smoking. This album works best when combined with our Improve Self Control Subliminal album.